Equipped with knowledge and backed by rich industry experience, British Biologicals, an award-winning global nutraceutical companyhas announced Bharath Reddy, Director of International Business Development and Operations, will lead the company's expansion into the United States for an end-to-end solution for the nutritional supplement industry. The launch of the new 50,000-sq. 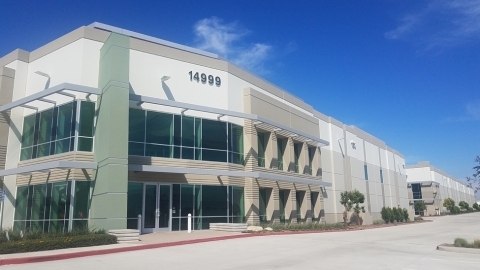 ft. British Biologicals USA operating facility is set to open in Eastvale, CA in February 2019 and will continue the company's pursuit of high standards and innovative services. "My team's experience in this market will help us continue to raise the bar in nutraceutical services and exceed the expectations of our clients," stated Bharath Reddy, Director of International Business Development and Operations. "Every day, more and more people are opting for a healthier lifestyle and we are proud that British Biologicals is leading the industry in nutrition research and services to support health and wellness." British Biologicals' new 50,000 sq. ft. operating facility will be stationed in Eastvale, California and has an expected completion date for February 2019. The corporation plans to offer state-of-the-art services to nutritional supplement companies including: ingredient procurement, manufacturing management, third party logistics (3PL), global distribution (specializing in India and the Middle East), and an innovation center to formulate cutting edge products. Alongside Reddy, British Biologicals' USA expansion team includes Kristen Jones, CEO of British Biologicals USA, and Ryan Condie, COO of British Biologicals USA. Strategically selected, Jones and Condie are a part of a full team assembled to create innovative solutions that improve product quality, manufacturing standards, and cost savings to finished goods companies. British Biologicals' expansion strives to partner with nutraceutical companies and provide product quality consistency, efficient and effective manufacturing, and supply chain savings. "Our primary commitment as a nutrition company is to contribute to a healthier future for existing generations, and generations to come," stated Reddy. "I'm honored to lead the British Biologicals USA expansion for an end-to-end solution for the nutritional supplement industry." Currently, British Biologicals exports products to South East Asia, the Middle East, East Africa, and the West Indies, and are now rapidly growing in the European and American markets. British Biologicals is the only Indian corporation exporting nutritional supplements to the United Kingdom, and today is recognized as India's top medical nutrition company. For more information on British Biologicals visit http://www.britishbiologicals.com/. British Biologicals is an India-based Nutraceutical company, founded in 1988 by Mr. V S Reddy. British Biologicals is headquartered at Bangalore and is popularly known as 'The Protein People'. The company offers wide range of Nutraceutical science-based nutritional supplements that are distinctive, reliable and 100% safe for human consumption. British Biologicals is proud to attain dignified USA quality standards and excellence and currently exports products to South East Asia, the Middle East, East Africa, and the West Indies, and are growing in the European and American markets. With a high-volume production capacity per day, our facility is the largest and the most advanced of its kind in the whole of South East Asia.